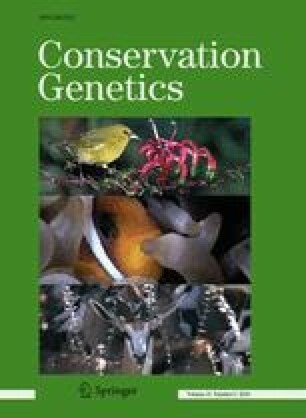 A basic premise of conservation geneticists is that low levels of genetic variation are associated with fitness costs in terms of reduced survival and fecundity. These fitness costs may frequently vary with environmental factors and should increase under more stressful conditions. However, there is no consensus on how fitness costs associated with low genetic variation change under natural conditions in relation to the stressfulness of the environment. On the Swedish west coast, natterjack toad Bufo calamita populations show a strong population genetic structure and large variation in the amount of within-population genetic variation. We experimentally examined the survival of natterjack larvae from six populations with different genetic variation in three thermal environments corresponding to (a) the mean temperature of natural ponds (stable, laboratory), (b) a high temperature environment occurring in desiccating ponds (stable, laboratory) and (c) an outdoor treatment mimicking the natural, variable thermal conditions (fluctuating, semi-natural). We found that larvae in the outdoor treatment had poorer survival than larvae in the stable environments suggesting that the outdoor treatment was more stressful. Overall, populations with higher genetic variation had higher larval survival. However, a significant interaction between treatments and genetic variation indicated that fitness costs associated with low genetic variation were less severe in the outdoor treatment. Thus, we found no support for the hypothesis that fitness costs associated with low genetic variation increase under more stressful conditions. Our results suggest that natural thermal stress may mask fitness losses associated with low genetic variation in these populations. We thank Per Westerfelt, Hampus Ericsson and Manuel Freibughaus for help in the field and in the laboratory. Mårten Hjernquist, Alex Richter-Boix, Torsten Nygaard Kristensen, Alexei Maklakov and Gustaf Granath commented on earlier versions of this manuscript. This study was supported by the Swedish Research Council Formas.